A Unique App that supports Hourly Alerts. A single item can be set to repeat on hourly basis in a single day. 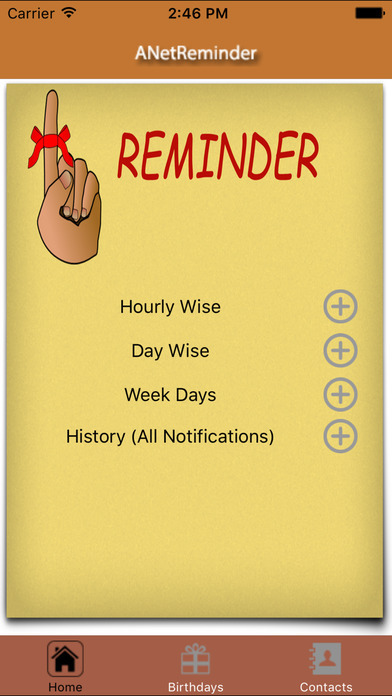 Alerts can be set for Hourly, Daily, Weekly basis. If you want to delete any user from Birthdays list just swipe right for particular user record and then press delete.